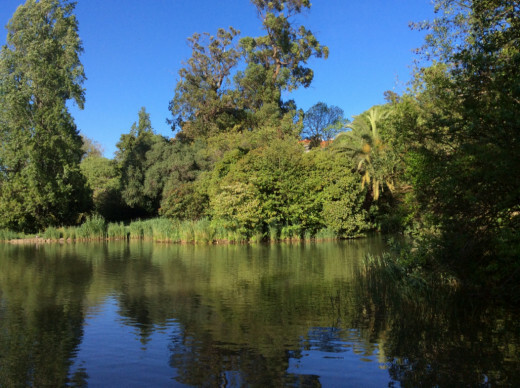 If you are in Lisbon, the capital of Portugal, and looking to get away from the city streets to relax amongst some greenery and dappled shade, then look no further than The Gulbenkian Gardens and Gulbenkian Centre. 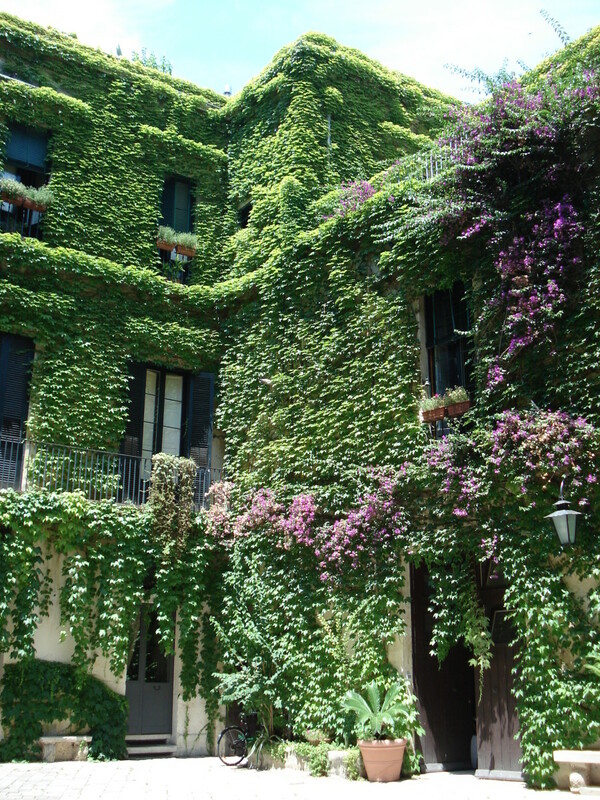 It is close to the São Sebastiao Metro station and the Praça de Espanha bus terminus so is easy to find. 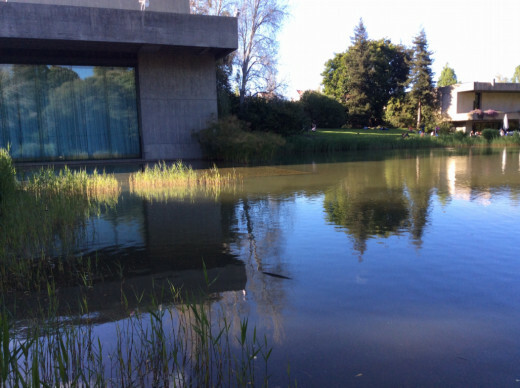 The Calouste Gulbenkian Foundation is a Portuguese private foundation with an international reach but based in Lisbon. It was set up according to the will of Calouste Sarkis Gulbenkian, who was an Armenian petrol and oil magnate who had his base in Portugal. The Gulbenkian Foundation is devoted to promoting work in the arts, science, education and charity. It strongly supports environmental work and conservation. The Gulbenkian Park in Lisbon surrounds the main building of the Calouste Gulbenkian Foundation. 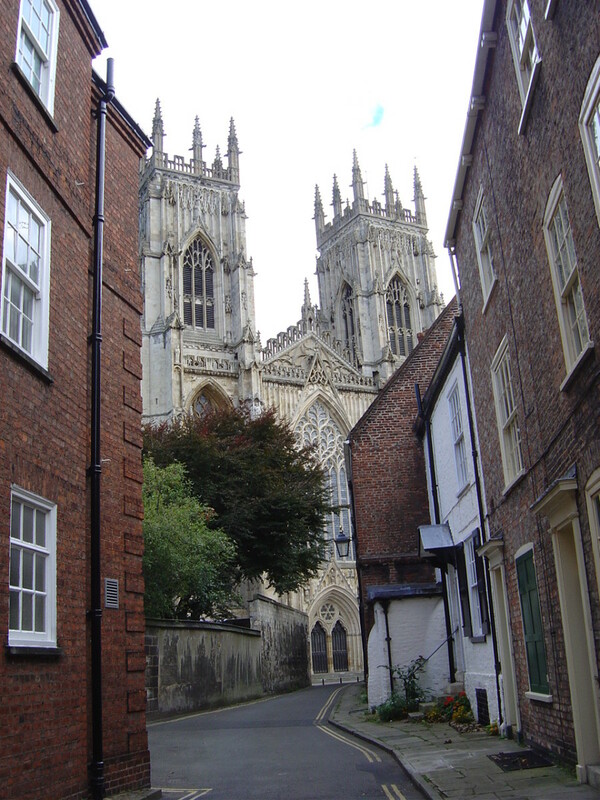 There is a museum and a Modern Art Centre in the park, as well as a cafe where you can enjoy snacks, ice-cream and drinks, such as traditional lemonade. The park itself is a quiet green space in the heart of the bustling city and is enjoyed by countless tourists and local people. It has an outdoor auditorium where events are staged, including demonstrations of Tai Chi by local groups. Many people like to sit on the steps of the auditorium even when there are no events on stage. The steps are a good place to eat a packed lunch, read the paper, or just to sit and enjoy the tranquility of the park. 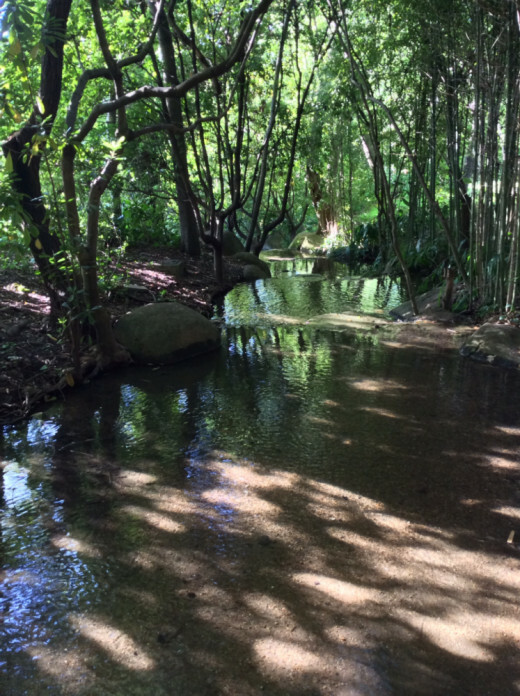 The Gulbenkian Park will certainly appeal to nature lovers because it has a network of ponds, streams and extensive shrub borders and bamboo groves, with many flowers and trees planted around it. There are ducks and plenty of other birds, and newts are said to breed in the ponds, though I didn't see any so cannot confirm this. 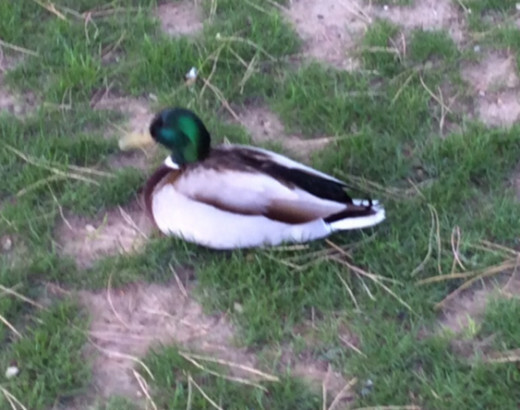 There is a very large pond, almost a small lake in the Gulbenkian Park and plenty of Mallards that use it. These ducks wander around the gardens and this is not surprising because there is a network of smaller ponds connected by artificial streams. 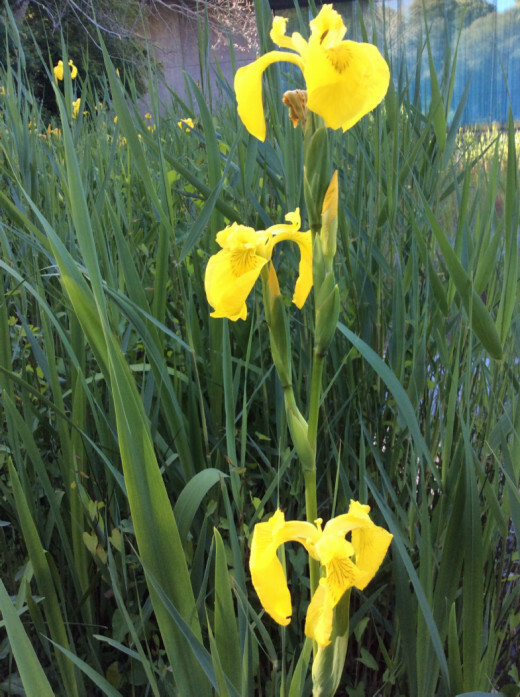 The main pond is surrounded by aquatic vegetation, including rushes and the beautiful Yellow Flag (Iris pseudacorus), a species of iris, also known as Yellow Iris and Water Flag. This plant is found in many parts of Europe, including the UK, and likes to grow in marshes and wetlands. There are plenty of paths around the Gulbenkian Park and due to the trees and bushes there is plenty of dappled shade and areas that are pleasantly cooler when the sunshine is hot. Bamboo forms groves and adds an exotic touch. Streams with stoney beds wind their way and cascade over rocks throughout the grounds. Ducks wander around, as do many humans! There are plenty of interesting trees, shrubs and plants. 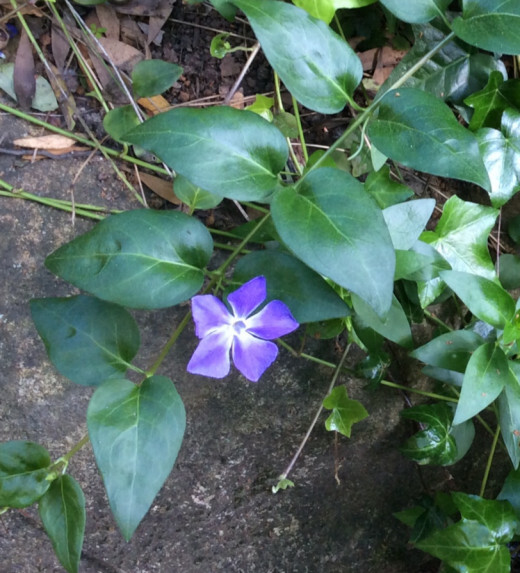 Greater Periwinkle (Vinca major) is one of the ornamental plants growing here. It forms large masses of green foliage on its scrambling and sprawling stems, with its pretty blue flowers forming contrasting eye candy against the greenery. Greater Periwinkle is often planted as a ground-covering plant. It is very pretty but is also poisonous, so its attractiveness is deceiving. Thank you, Peggy, and thanks too, Jack! 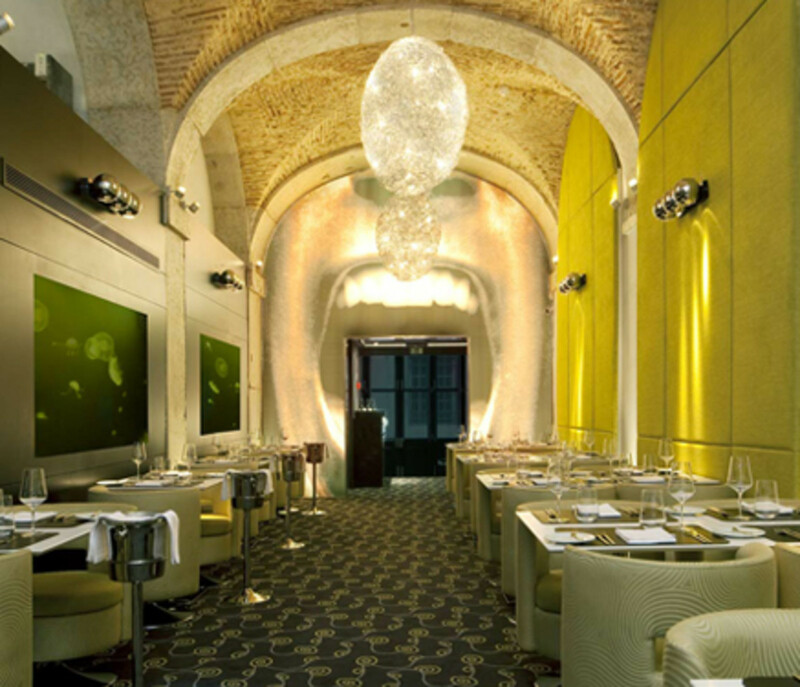 Yes, this place is well worth visiting when you are next in Lisbon! Wow, I never realized there was so much green space in Lisbon. Wonderful pictures - I can hardly wait to visit again. Your photos as well as your descriptions would entice me to visit this natural beauty of a park should I ever visit Lisbon. I truly enjoy nature and to have a spot such as this in the heart of a city is a treasure. Thanks for telling us about it and showing parts of it with your wonderful photography. Up votes and I will be sharing this++.